How Far is Prince Highlands? Want to be in an upscale apartment in Chennai around Iyyappanthangal? Have a look at Prince Highlands. This project sprawling an area of 5.68 acres with 75 % open space in 6 towers and one interconnected basement with 15,000 Sq ft Clubhouse, and each tower includes 1stilt +9 floors consisting of 576 flats provided with modern amenities to make your life comfortable. Prince Highlands offers 1,2,3 BHK flats for sale in Iyyappanthangal, which is an upcoming area in Chennai, it has Poonamallee, Porur, Avadi, Guindy in its neighborhood, all conceivable comforts and conveniences are within easy reach from the project. It is located close to reputed schools, colleges, hospitals, supermarkets, banks, restaurants, entertainment options and to business centers. This project consists of 1BHK flats super built-up area size varies from 610 Sq ft to 635 Sq ft with one more bedroom 2BHK flats super built-up area size varies from 1090 Sq ft to 1210 Sq ft and more spacious 3BHK flats super built-up area size varies from 1530 Sq ft to 1790 Sq ft. 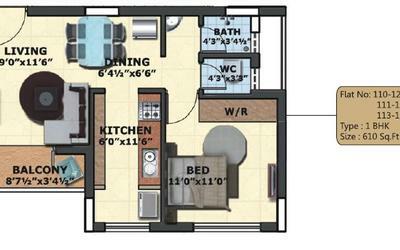 This premium apartment project comes with superior specifications. Some of the amenities are Landscaped Gardens, Children's Play Area, Multipurpose Play Court, Clubhouse With such luxury, if you looking to buy a property, Prince Highlands will appeal to all your 5 senses and beyond. RCC frame with RC Foundations. Anti-termite treatment conforming to ISS. Earthquake resistant Ceiling height: slab to slab 9'5" Outer Wall Thickness – 8" Internal Partition – 4"
Floor Finishes: 2' X 2' Vitrified Tiles. Walls: Cement plaster with wall putty and oil bound distemper. Doors: Padak /Teak frame 32mm thick, Skin Polished Shutter. Floor Finishes: 2' X 2' Vitrified Tiles for all other bed rooms. Master Bed Room with Wooden flooring only for 2 BHK & 3 BHK Units. Walls: Cement plaster with wall putty and oil bound distemper. Doors: Seasoned wooden frames and painted flush door. Floor Finishes: 2' X 2' Vitrified Tiles. Walls: Cement plaster with wall putty and oil bound distemper. Glazed tiles up to 2 ft. above the Kitchen Platform. Platform: Granite-Top with Sink. Utility: 2' X 2' Vitrified Tiles. Walls: Cement Plaster & Cement Paint. Flooring: 2' X 2' Vitrified Tiles. Aluminium or UPVC sliding windows. Concealed insulated copper multi – strand frls wires of Finolex , Polycab or equivalent wires. MCB equipped distribution board. Switch & Socket of Siemens or Anchor or equivalent brand. High speed automatic elevators of ThyssenKrupp / Johnson or Equivalent brand. Walls: Cement plaster with wall putty and oil bound distemper. Exterior: Cement Plaster and Exterior Paint. Staircase & Lobbies: Decorative lobby with Polished Granite / Kota Stone. Car Parks: Granolithic Flooring. Sewerage treatment plant. The sewerage will be safely recycled for watering the gardens, flushing, etc. Note: This building will be built strictly as per CMDA Approved Plan. Prince Foundation, one of the top 10 builders in Chennai was Established on 2004, They have acquired brand equality in both commercial and residential segments, they have their footprint around 6.5 Million Square feet of Completed, Ongoing and forthcoming real estate projects in Chennai, an undisputed haven for home dwellers and corporates in Chennai City. 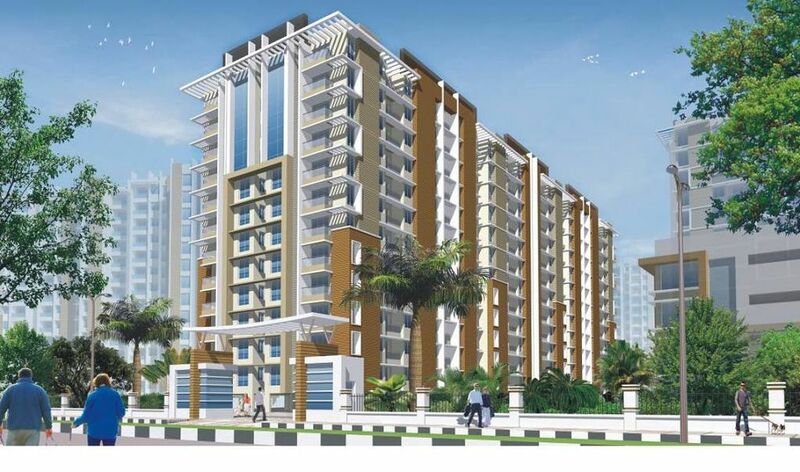 one such example is Prince Highlands in Iyyappanthangal which consists of 1,2,3BHK flats for sale with best amenities. Their new thoughts, latest technology effective usage of spaces, world-class amenities meticulous planning and loads of professionalism are making their projects unique in Chennai, At Prince Foundation Ltd you can find your dream home in the budget, premium or luxury apartments in Chennai or ideally located IT parks. They strive to ensure your quest to owning the perfect property ends right here because at Prince Foundations; 'your dream is Their reality'. They have complete transparency, service levels and the best prices which makes them one the topmost Builders in Chennai and in the real estate industry. they have many projects some of them are Prince Palazzo in Pudupakkam Chennai, Prince Courtyard in Egmore Chennai, Prince Ratnapuri Garden Residency in Royapuram Chennai and the list goes on.